During his brief 24-year lifespan, Steve Prefontaine grew from hometown hero, to record-setting college phenomenon, to internationally acclaimed track star. In a similar span of years since his death in 1975, Pre has become the stuff of enduring legend. His rare combination of talent, discipline, determination, and star-quality with a human touch made Pre the idol of those he called "his people" — the devoted fans who came to watch him run and entered into the performance with roars of encouragement, "Go Pre!" At no place is the celebration of Steve Prefontaine and his story more personal than in Coos Bay, Oregon, where he was born in 1951 and discovered his gift for running fast and far as a student at Marshfield High School. Here, he developed his hunger to be the best in the field, and more, to do it with style—to create beauty when he ran, to show people something they had never seen before. 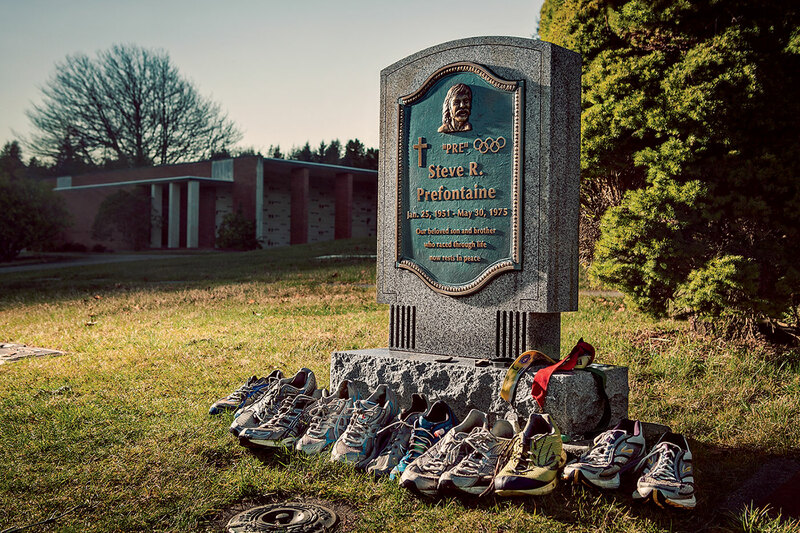 Steve Prefontaine is honored every year at the Prefontaine Memorial Run, a challenging 10K road race across one of his old training courses, with its finish line at the high school track where he first competed. This is where he tested his mettle and felt the possibility of greatness, and his hometown saw greatness, too. 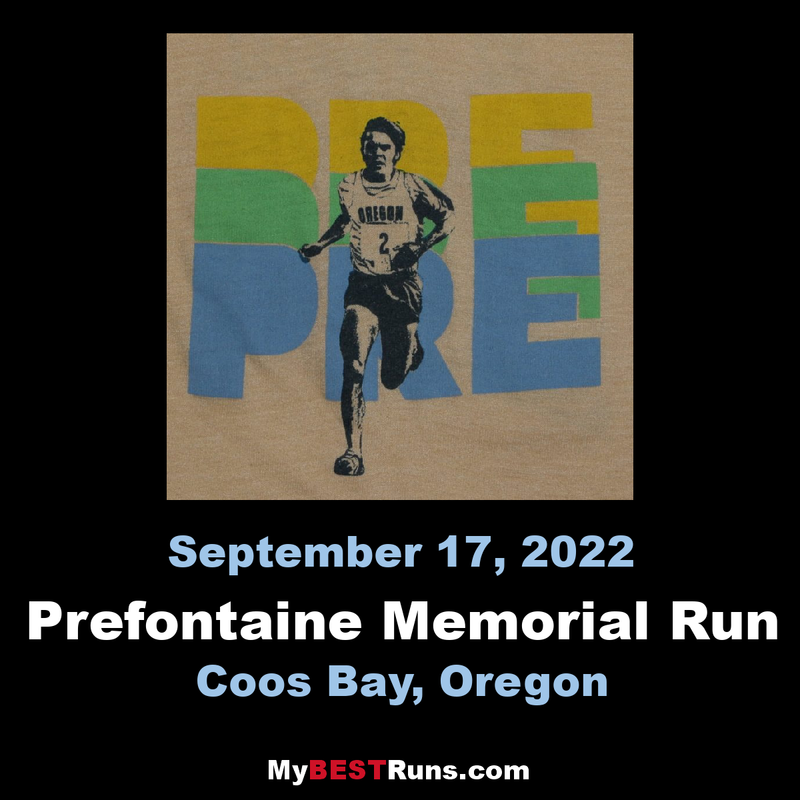 We warmly invite you to come to Coos Bay every September and run where Pre's legend began. In 1984, the Bay Area Chamber of Commerce President asked the Prefontaine Memorial Committee to establish an annual award to a Coos Bay/North Bend student-athlete to be presented at the Chamber's Annual Awards Banquet. Beginning in 1985, the Prefontaine Memorial Committee has honored outstanding student-athletes whose accomplishments most closely reflected the excellence in athletics demonstrated by the late Steve Prefontaine. Steve Prefontaine grew up in Coos Bay, OR and graduated from Marshfield High School in 1969. He was a two-time State Cross County Champion, two-time State 2-Mile Champion and also won the State Championship in the mile his senior season. Also during his senior season, Steve established a new National 2-mile record with a time of 8:41.5 at a meet in Corvallis and that record stood for many years. He capped his high school career by placing 4thin the 3-mile at the AAU National Championships, where he was chosen to compete internationally on the USA team. Steve went on to the University of Oregon to run under the legendary Bill Bowerman. During his years at Oregon he won three National Collegiate Cross County Championships and four 3-mile/5,000-meter Collegiate Outdoor titles. In 1972, Steve won the Olympic Trials 5,000-meters race in front of a standing room only crowd of adoring fans at Hayward Field in Eugene. Later that fall, Steve represented the United States at the Summer Olympic Games of Munich, Germany where he finished 4thin one the most stirring 5,000-meter races in Olympic history. At the time of his tragic death in May of 1975, he held every American distance record from 2,000-meters to 10,000-meters. Each year, the Prefontaine Memorial Committee asks the athletic directors of Marshfield High School and North Bend High School to submit the names of up to three worthy candidates for our consideration. Although the award is given primarily for excellence in athletics, we also look for excellence in character, involvement in the community outside of school activities and academics.